Freedom is not all things to all people. 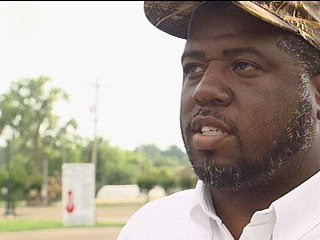 Mayor James Valley has put Helena-West Helena, Arkansas under 24-hr curfew. At first, it was only over the worst ten blocks. The City Council voted 9-0 on Tuesday to extend 24-hr curfew over the entire city. People are routinely stopped on the streets and questioned by police with M-1s. Here’s Yahoo. Notice how there is no mention of the City’s demographics and no photos of the population (dutifully fixed here). Hint: Helena used to be called ‘Little Chicago’. Notice the total absence of talk of Helena on a national level. Now why would that be? Here is a black web-site that discusses the loss of freedom. Note the comments. People support it. They are happy that the government took away the people’s freedoms. President Bush’s plan for world democracy and freedom and love and happiness isn’t working out too good. Not all people handle freedom well. Freedom requires hard work.